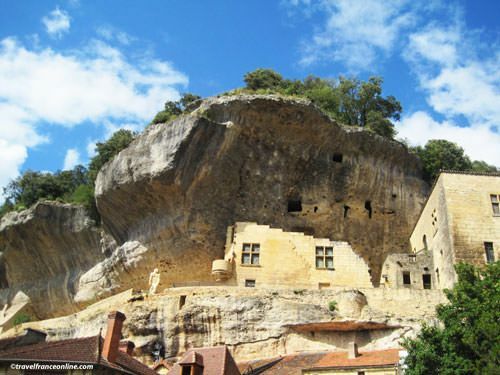 The Vezere Valley counts 147 prehistoric sites and 25 painted or engraved caves dating from the Paleolithic. 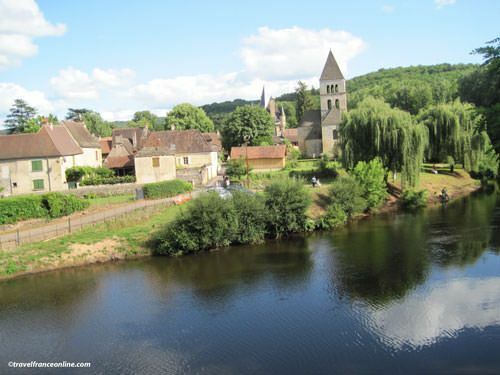 These exceptional archaeological sites led UNESCO to list the Vezere Valley as a World Heritage Site in 1979. 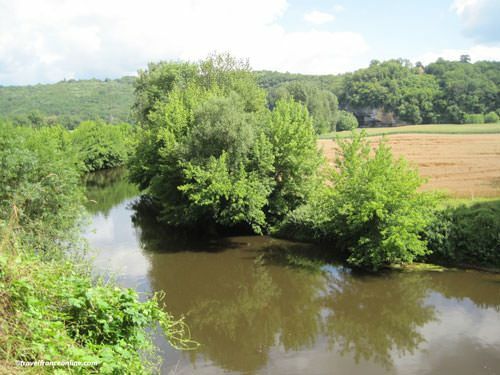 Fifteen of these caves are listed Prehistoric Sites and Decorated Caves of the Vezere Valley. The valley's exceptional location and privileged environment attracted humans since the dawn of time. Indeed, the river was a natural defense and the galleries it hollowed over the millennia secure shelters against predators and harsh weather conditions. The river also provided plenty fish and obviously unlimited water. The first various artifacts uncovered in La Micoque Deposit show traces of settlements dating from about 400,000BP. Neanderthal men arrived around 150,000BP and left countless traces of their lifestyle in Le Moustier and Le Régourdou sites. Cro-Magnon Men (Homo Sapiens anatomically similar to us) settled in the Vezere Valley some 40,000 years ago. Archaeologist named this new group of modern humans after the first rock shelter they discovered in Les-Eyzies de Tayac. Why did Neanderthal culture entirely vanished at that time is still a mystery to this day! Did they interbred with the newcomers, or did those simply eradicated them? The drastic climate change - Last Glacial Maximum - that occurred around 20,000BP affected the vegetation. As a result, mammoths migrated towards the cold northern regions. Cro-Magnon Men had therefore to adapt to new game and develop new methods of hunting and new weapons. A new culture was arising. The wealth of 'new' tools and weapons discovered in La Madeleine rock shelter led archaeologists to name a phase of the Paleolithic epoch after the rock shelter (Magdalenian Culture). 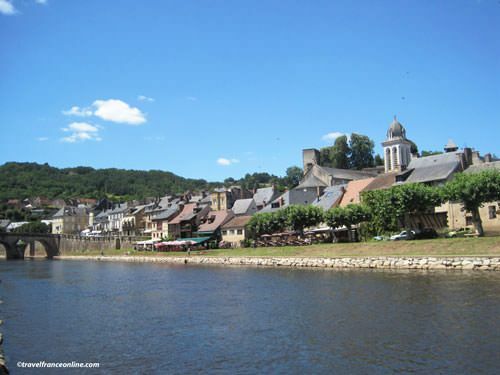 The findings indeed show the high level of sophistication of these populations, who inhabited the Vezere Valley from about 17,000BP until the end of the Ice Age around 7,000BP. 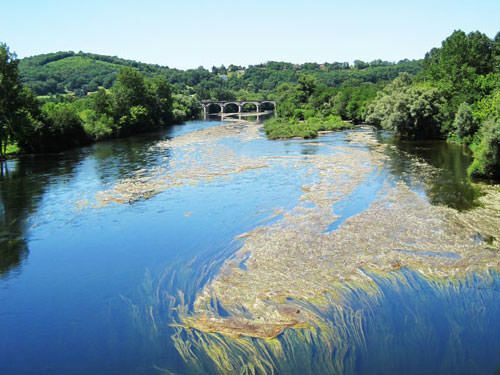 The Vezere River springs on the Plateau de Millevaches (977m) in Limousin region in Central France and flows into the Dordogne at Limeuil. Four million years ago a vast sea covered the Aquitaine region. It retreated over the millennia and left behind vast limestone plateaus and rivers. Limestone is a soft sedimentary rock made mainly of calcium carbonate produced by the amalgam of the calcareous remains of marine animals. The rivers carved the limestone plateaus and created valleys and meanders. They hollowed galleries and shelters in the cliffs where men later took refuge. 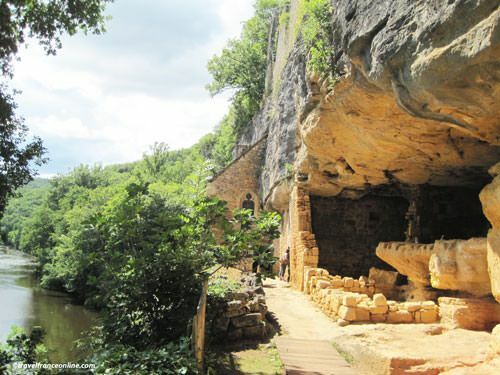 The study of the countless rock shelters, caves and deposits found along the Vezere Valley shed new light on the perception we had of these distant ancestors and transformed our understanding of archaeology. La Madeleine - Magdalenian and Tayac - Tayacian or Cro-Magnon Culture, La Micoque - Micoquean and Le Moustier - Mousterian. Magdalenian artists didn't only master cave paintings and engravings, but also the making of ivory, horn and bone tools, weapons and jewels, often engraved or decorated. They hunted red deer, horses, bovine and much larger mammals. However, the many representation of reindeer they made led the archaeologists to refer to the Magdalenian epoch also as the Age of the Reindeer. The unique specificity of the Magdalenian art and the sophistication of the techniques used reflect a high level of skills and an acute understanding of the surrounding world. Magdalenian artists indeed represented dozens of animal species with astonishing realism, details and lifelike quality, both in colours and shapes. They used the natural declivity or asperities of the cave walls and adapted and incorporated them into the design. They always depicted the animals in profile either at rest, walking or running. Mammoths representations led the archaeologists to authenticate the age of the caves and therefore of this fascinating Magdalenian culture. Cro Magnon Men also had proper burial rituals. They indeed painted the bodies of their defunct with ochre pigments; many traces still remain on the bones. They also laid them in a flexed position and facing west. Cro Magnon men, however, stopped decorating and living in their caves about 8,000BP. They indeed deserted their cave dwellings in order to live in tents and organized themselves in communities that gave rise to our villages. With the mastering of farming and animal breeding, they had accessed to a new step on the ladder of the evolution. After all, they had survived and thrived when many species had been decimated!